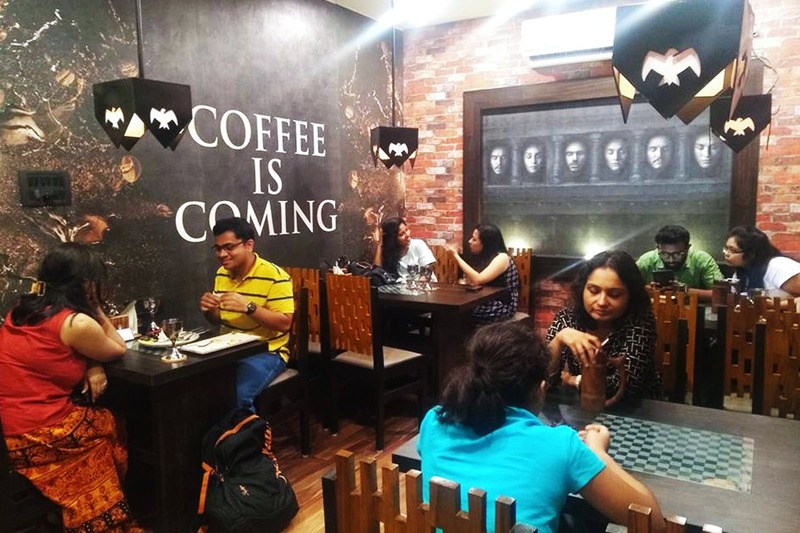 All Men Must Dine: Have You Visited The Game Of Thrones-Themed Cafe Yet? As you wait with bated breath for season 8 of Game of Thrones, step into the Seven Kingdom cafe in Salt Lake that brings the show to life with its GOT-themed interiors and menu. GoT Fans, Continental Food, GoT Merchandise. Fantasy meets reality at Seven Kingdom, spread over 1,050sq ft in Salt Lake. Choose from the seven tables named after the seven houses of Westeros, depending on where your loyalty lies. Pose on the iron throne with a silver goblet of Dornish Wine (which is actually pomegranate juice mocktail) and feel like a ruler with the series’ soundtrack playing in the background. Don’t miss Joffrey the Jerk Chicken on the menu - marinated in teriyaki sauce served with sauteed vegetables and mashed potatoes. End your meal with the deliciously sinful Lady of Winterfell dessert. Oh and if you are a true GOT fan you will most likely squeal in delight at the decor details. Think hand-painted house flags, dragon eggs, ‘Hand of the King’ badges and hanging raven lamps (rubbing hands with glee)! Meal For Two: About INR 350++. The service is a bit slow and sloppy but we hope it will improve with time and exposure. If you are planning on throwing a party for a small group of pals, you can hire the private King’s Landing area. It’s a nice, cozy nook with an expansive sofa and shelf full of books.